The weather is slowly starting to warm up here and pretty soon we’ll finally find our barbeque under all this snow. I may be a little early to gather homemade BBQ sauce recipes but I can’t help myself – I’m so excited for BBQ season! I’ve never tried to make my own BBQ sauce but this summer I’m going to try out a few of these recipes. This is a collection of homemade BBQ sauce recipes from other talented authors, bloggers and masters in the kitchen. To view the full recipe for each, simply click on the titles of the recipes. Let’s kick if off with something spicy! This 5 Alarm Hot Sauce (picture above) by Inspiration Kitchen is sure to knock your guests flip flops off. 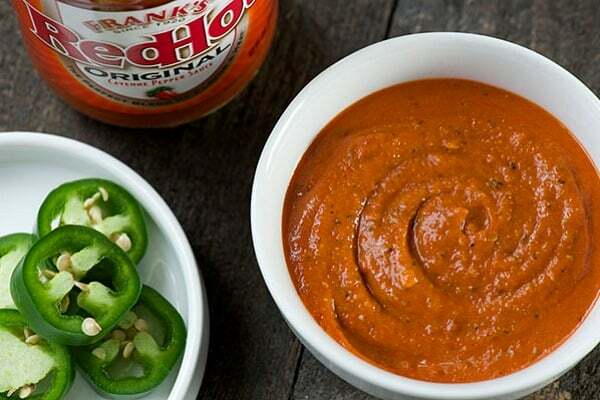 Be sure to have lots of water to serve with this spicy sauce and have something more mild for children. Looking for something both spicy & sweet? 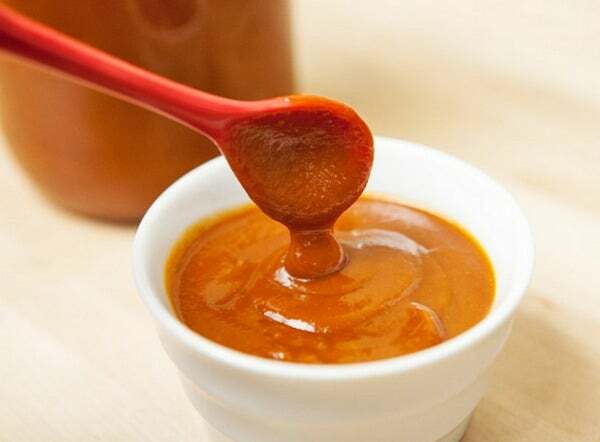 Then check out this Spicy-Sweet BBQ Sauce by Spache The Spatula. I’m always looking for new recipes with “chipotle” in the title. 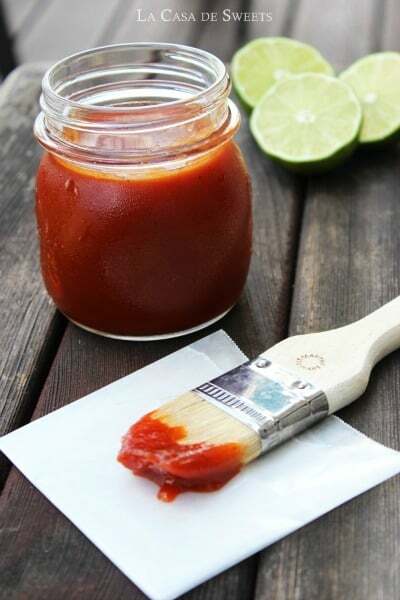 This Chipotle Lime BBQ Sauce by La Casa de Sweets is one that I’ll be trying this summer! These next three homemade BBQ sauce recipes all have fruit in them. I had never thought about making a BBQ sauce with fruit in it but these all look so delicious! 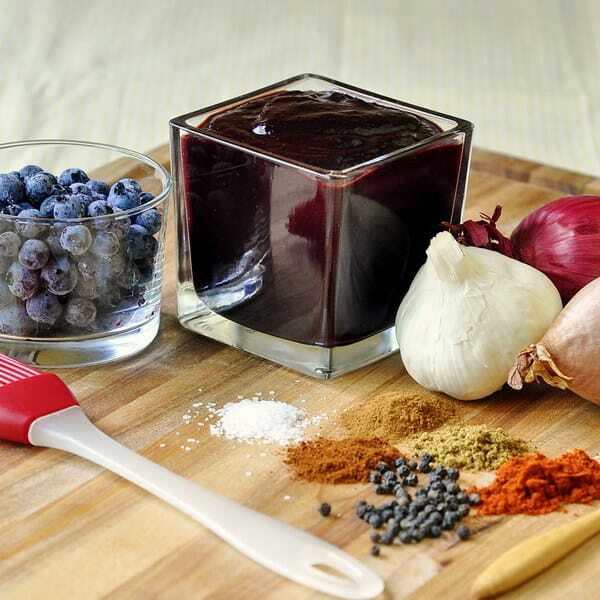 This Blueberry BBQ Sauce by Rock Recipes looks like a really unique creation. 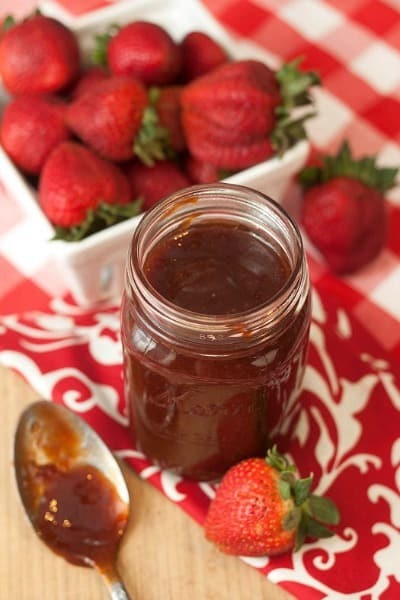 Here’s another delicious BBQ sauce with “chipotle” in the title – Strawberry Chipotle BBQ Sauce by Tide & Thyme. 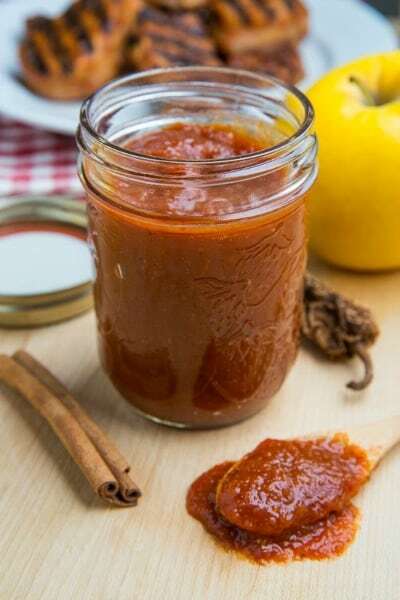 This Roasted Apple BBQ Sauce by Closet Cooking also comes along with a recipe for Grilled Apple BBQ Pork Tenderloin Medallions that sounds perfect for Father’s Day. For more delicious recipe ideas, visit our Party Food and Family Meals page. Thanks so much for featuring my BBQ Sauce! Those other sauces look so yummy; can’t wait to give ’em a try! Thank you for featuring my recipe! I love hot sauces so this is a great post!